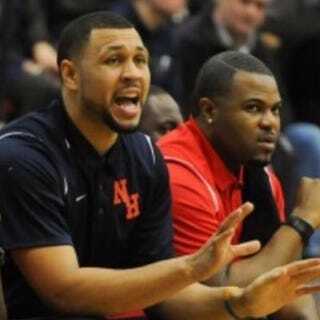 Former NBA All-Star Brandon Roy was one of four people shot and wounded outside his grandmother’s house in Compton, Calif., on Saturday evening, according to Los Angeles County sheriff’s authorities. Roy was standing outside the home with a group of people around 9 p.m. Saturday when two men walked up and opened fire for “no apparent reason,” Sheriff’s Sgt. Rick Mejia told the Los Angeles Times. All four of the people wounded in the shooting were men. They were transported to a local hospital with non-life-threatening injuries and later released. Roy, 32, was shot in the leg, and a witness who wished to remain anonymous told USA Today that Roy was shielding some of the young people present at the gathering when he was shot. A motive for the shooting has not been determined, but an investigation is underway. No arrests have been made. Roy made his name in the NBA with the Portland Trail Blazers. He was the sixth pick in the 2006 NBA draft and was a star shooting guard who won the NBA’s Rookie of the Year award in 2007 and was named to the Western Conference All-Star team three years in a row. He retired from the NBA in 2011 because of chronic knee injuries and now coaches the men’s basketball team at Nathan Hale High School in Seattle. He led that team to an undefeated season and was named the Naismith High School Coach of the Year in 2016. Read more at the Los Angeles Times and USA Today.